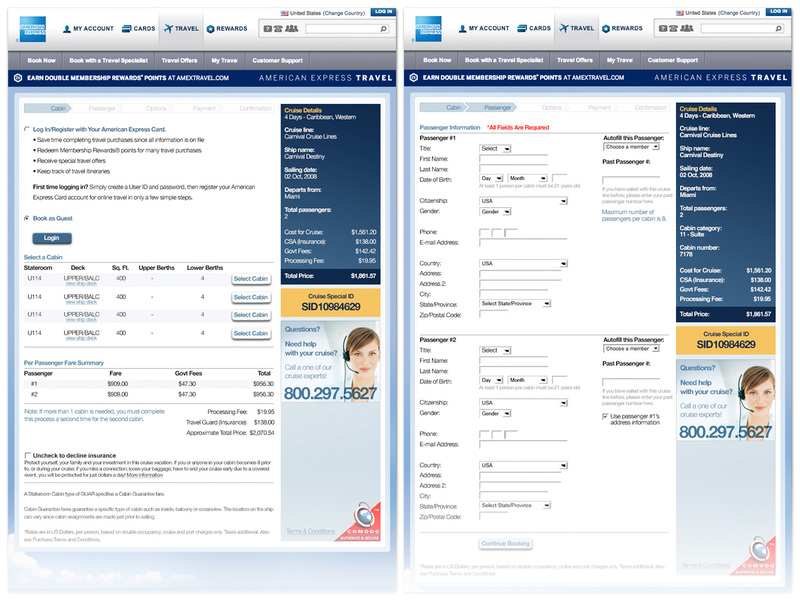 I’ll be the first to admit that a booking path isn’t exactly exciting to look at, but given the amount of work that went into this one I figured it’s worth showing. 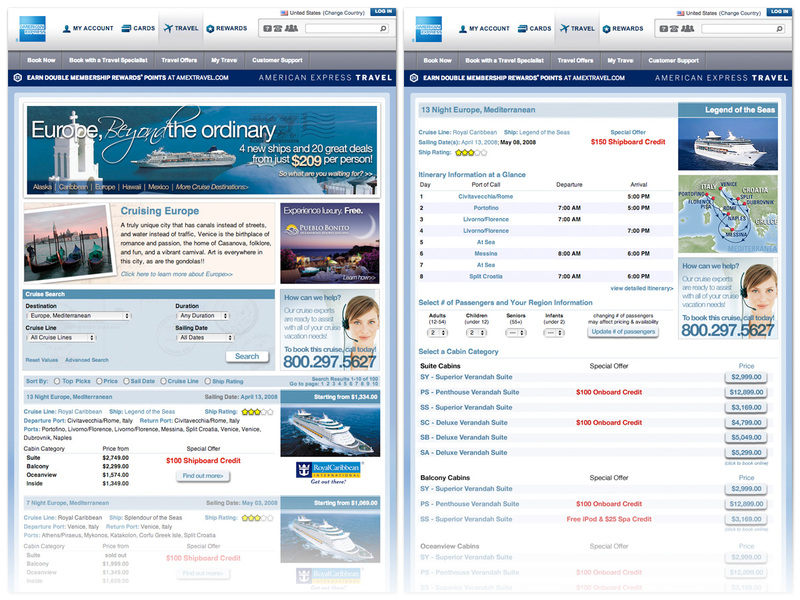 Booking a cruise has never been easy and booking a cruise online fully supports that premise. 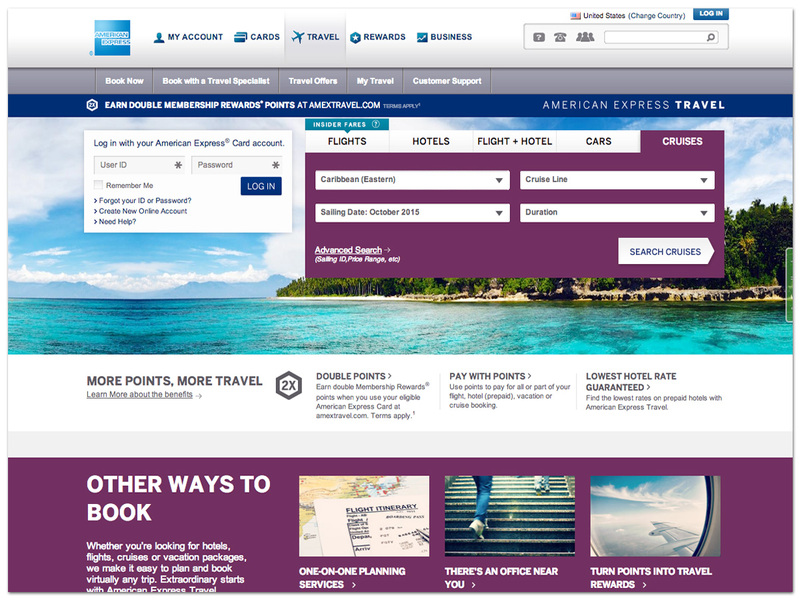 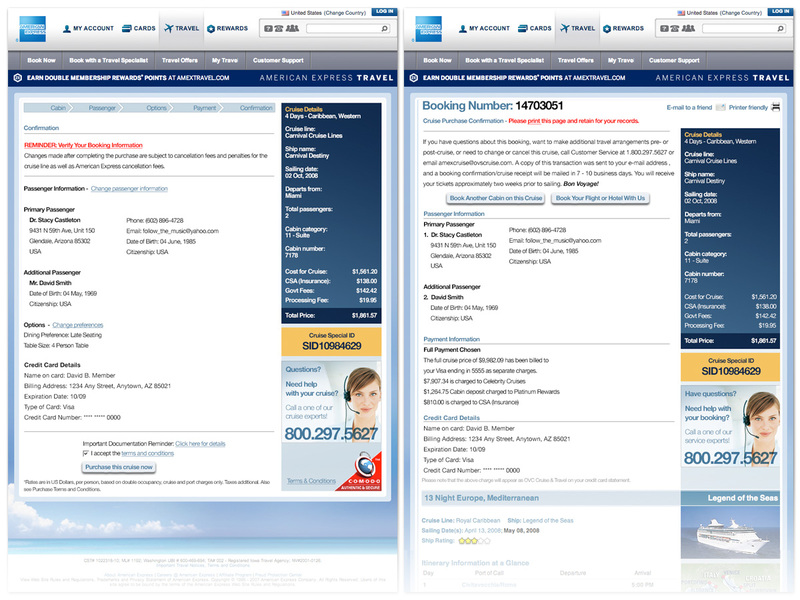 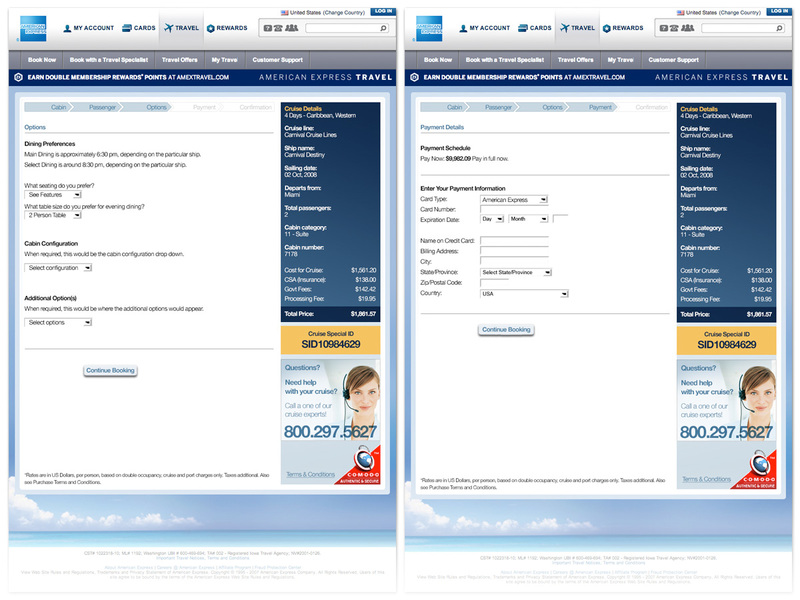 American Express Travel’s previous booking path took users through 17 steps to complete their transaction, but after a comprehensive user experience review I was able to cut duplicitous information, merge some steps and make the process feel much more natural as consumers complete their booking in just eight steps from search too confirmation.